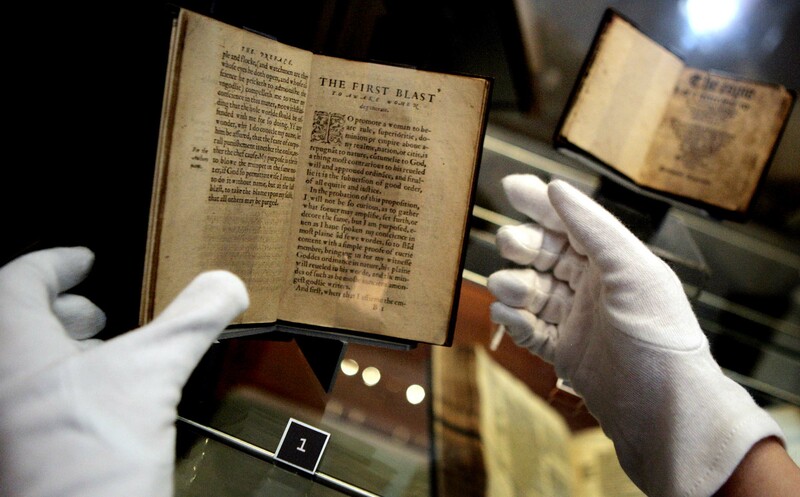 A FAMOUS historic work by John Knox will go on display tomorrow (Wed) at the National Library of Scotland, along with other exhibits to mark the 450th anniversary of the reformation. The first edition of The First Blast of the Trumpet, published in 1558, was a controversial work in which Knox argued that the Bible said women should not bear rule over men. 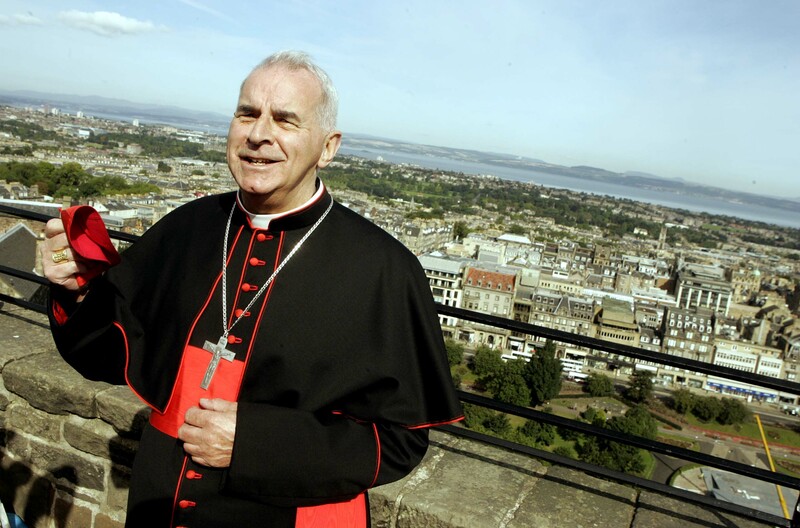 A CHARACTER dressed as John Knox – the famous Scot who led the country into a religious reformation – is to be included in a parade celebrating the first day of the Pope’s visit to Scotland. St Ninian’s Day Parade falls on 16 September, which is coincidentally the day that Pope Benedict XVI is due to begin his whistle-stop tour of the central belt. The parade will begin at Regent Road in Edinburgh, following a route down to Princes Street and featuring 1,000 pipers, as well as characters charting the history of Christianity like Mary Queen of Scots, St Margaret, and Robert the Bruce. BEST-selling author Irvine Welsh is hosting a special screening of his famous first novel to help raise funds for a Scottish charity and to get people in the mood for his new book. The showing of Trainspotting is taking place tonight (Wednesday) at the Dominion Cinema in Edinburgh in aid of charity Scottish Love in Action (SLA). The audience will also have the opportunity to pose questions to the Edinburgh-born author as well as the chance to be named in his new book, Skagboys, the prequel to Trainspotting which will be released in April 2012. All proceeds from the competition and screening will go to SLA. SIX lively new additions have been welcomed at Edinburgh Zoo in what has been a record breeding season. 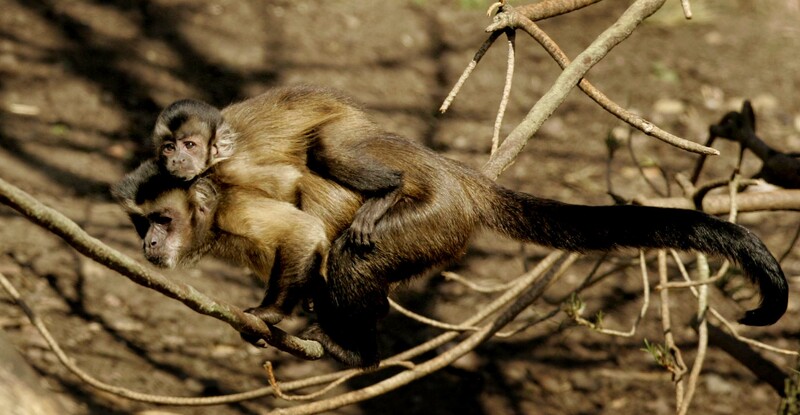 The infant brown capuchin monkeys join a further 18 capuchin adults and juveniles in the Zoo’s Living Links Centre. The youngest, born on 29 July, is just over a month old and was born to first-time mum Penelope. The capuchins live with common squirrel monkeys in two mixed communities in the East and West sections of the Zoo’s Living Links Centre. A GROUP of jet skiers were left red-faced after their car got stuck in the sea when the tide came in and submerged the 4×4. Trying to launch a jet ski from a trailer attached to the back of the blue Mitsubishi Warrior, the men didn’t notice the rising water until it was too late. They had to call out a rescue truck to tow the car out of the ocean, but it also had to go into the water to retrieve the stranded vehicle. Onlookers watched as the drama unfolded on Portobello beach on Monday afternoon but revealed it wasn’t an uncommon sight. 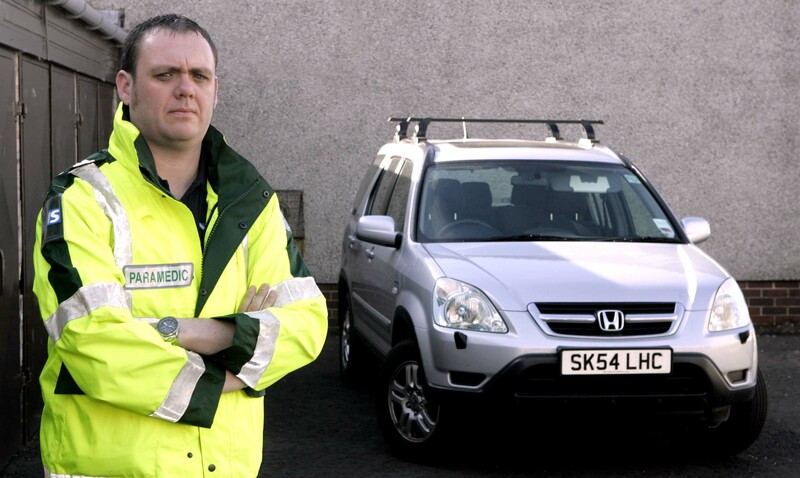 AN asthmatic boy had to be treated by paramedics after a fire broke out at his family home in Fife. Fife Fire and Rescue were called to the two storey mid-terraced house at Murray Place in Glenrothes at around 1am today (Tuesday). They used two hose reel jets and one main jet to tackle the blaze, which was out shortly before 2am. An ambulance crew was called to the scene to carry out some precautionary checks on all of the occupants, and the young boy received oxygen to relieve his asthmatic symptoms. A spokesman for Scottish Ambulance said: “We were called to the house fire in Glenrothes just before 2am, as a precautionary measure. “We checked over a young family who lived there, but no one was taken to hospital.